Home › Comic › #601 You Say It’s Your Birthday? #601 You Say It’s Your Birthday? 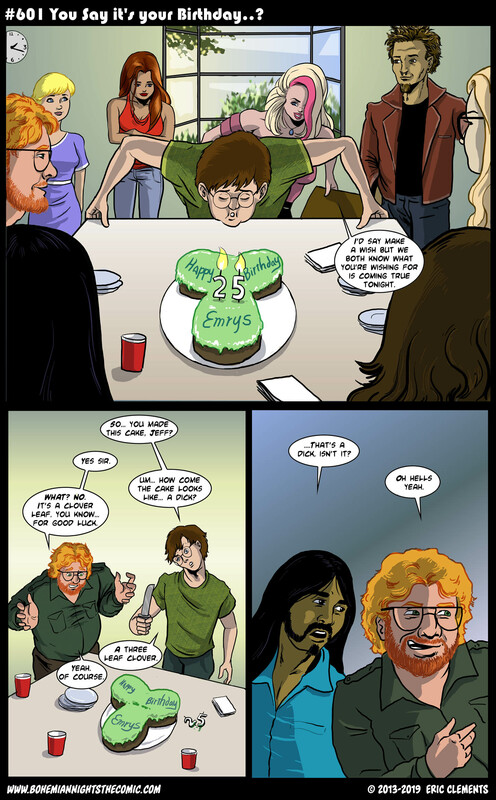 Gotta say, I was essentially running though Emrys’ thought process with the cake as I scrolled down. Also, a) keep it in your pants Stephanie, and b) Beth looks very Taylor Swift with the straight hair. A) Yeah, Steph is not known for her subtlety. B) yeah a few of the characters have gotten a little bit of a appearance update.